Rolled on through the wind on these high plains. Nothing bad though and from the side anyway, not a diesel eating head wind. Found our way to Theodore Roosevelt National Park and another $5 camp. which is curious... because when the Forest Service/Park service charge their $10 bucks... they get the whole $10... when a concessionaire charges you $18 or more... the Forest Service/Park Service gets about .90 cents... (my understanding is they get 'bout 4-5% of revenue) hmmmmm... what beaurocrat schemed up that sweet and profitable deal for the parks and forest lands? ah well... what does a pus gut mountain cowboy know huh? Buuuuuuut.... I decided the waiting line was a little much so I used what I have on the rig. One of the buggers was standing at the foot of the rigs stairs when I swung the door. Thought she might even climb in for a minute. I won't complain. Actually I kinda like it. Something you ain't gonna see in Toledo! and it lets me know that though people continue to spread across the face of the globe unrestrained... there are a few empty places left where a fella's soul can breathe. We spent two nights in this camp. And even when moving that's the way I've come to go. Move one day or two... and then set up for a couple. It's a nice easy pace. No need to rush when you've got nowhere to be and all day to get there! This country don't look so rough in the summertime... the grass deep and lush... but damn. Come winter, it's a tough place to survive! well... unless you truly like a thirty mile an hour wind at twenty below! It just goes to show that folks all have different interests I suppose. To each his own... but... I don't think that dog was happy with me takin' his picture... sounded like prairie dog cussin' to me. 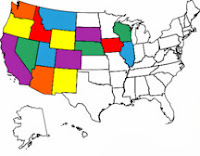 Theodore Roosevelt National Park is in two units; There's a South unit and North unit. After two nights down south we bumped the fifty miles or so on up to the North section. Another $5 camp and lots of room. 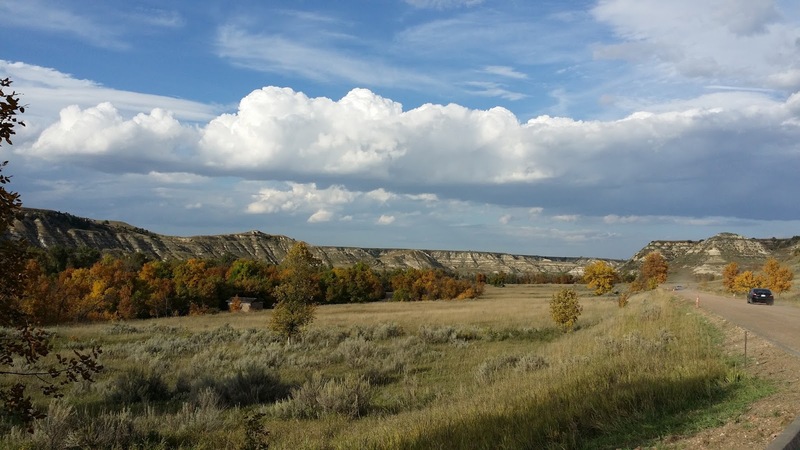 The Bad Lands in Theodore Roosevelt National Park are rough country. But for a fella like me, they provide the space where the BS of Soh-sigh-uh-tee fades away for a spell... and an old buster can just... breathe... This is a hard country but it's real. There's a serenity and purity here that's hard to explain or define. You either "get it" ... or you don't. Those first photos of what is just outside your door first thing in the morning make me ask myself ... what would my hounds do in that situation? Would my bloodhound and two bassets bark when they first heard them? They do not bark here at home. So that leaves the question, if they didn't bark and didn't know they were there until I would open the door to my trailer, would they be in danger from chasing them. I assume the hounds would get the crap kicked out of them and it would end ugly. Love the horses. 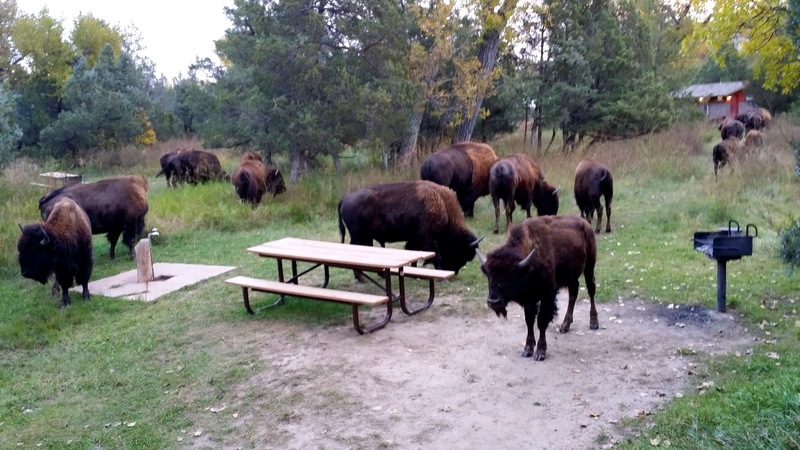 They were much sher than the bison & "dogs" when we visited the South park years ago. Definitely gotta see the North part. Hope to cross paths again this winter in AZ, but stay warm in the meantime. Buffalo are NOT cows. Think of Cows on steroids with a bad attitude. The number of people mangled and worse by buffalo in Yellowstone dwarfs the number Bears ever thought about Whacking. If you take dogs to the wilds... you MUST have them under control. It's as simple as that. Barking from your rig isn't a real problem... but chasing them? That's like poking a hornets nest and expecting to Not get stung. 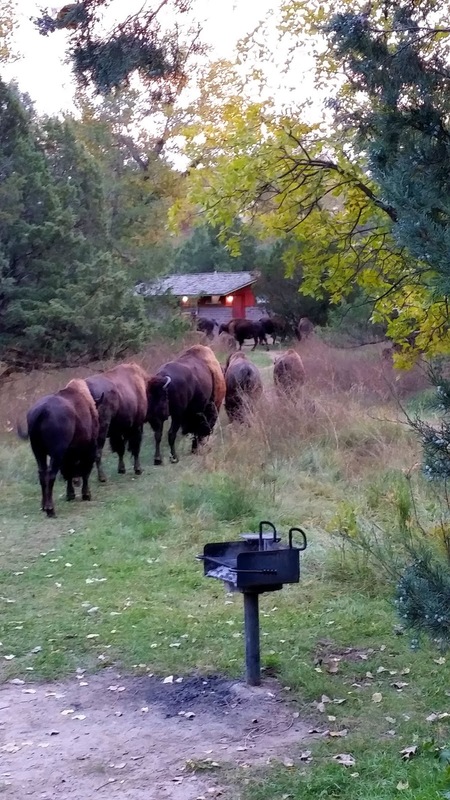 Buffalo are NOT going to tolerate invasion of their space... by any.thing. Dogs don't get kicked. They get crushed... and people too. Reving your motor might make a biker chicks heart throb... but a Buffalo? It only pisses that Ol' boy off... which you DON'T want if you're sitting ten feet away on two wheels. That Bull Charged, whacked the front wheel of that 900 lb lump of steel, lifting it off the ground and nearly turning it over backwords.